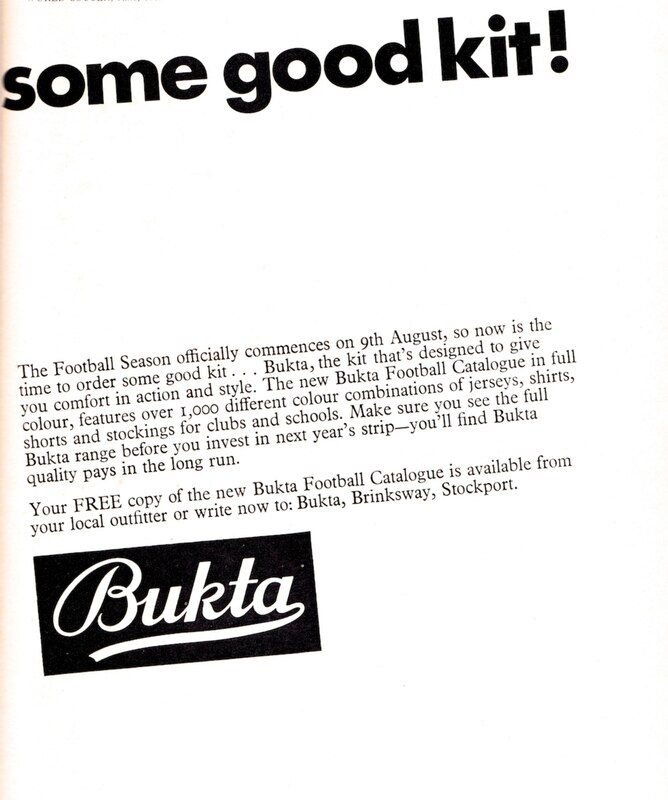 Today we publish our second collection of retro Bukta advertising from the 1960s and early 1970s. 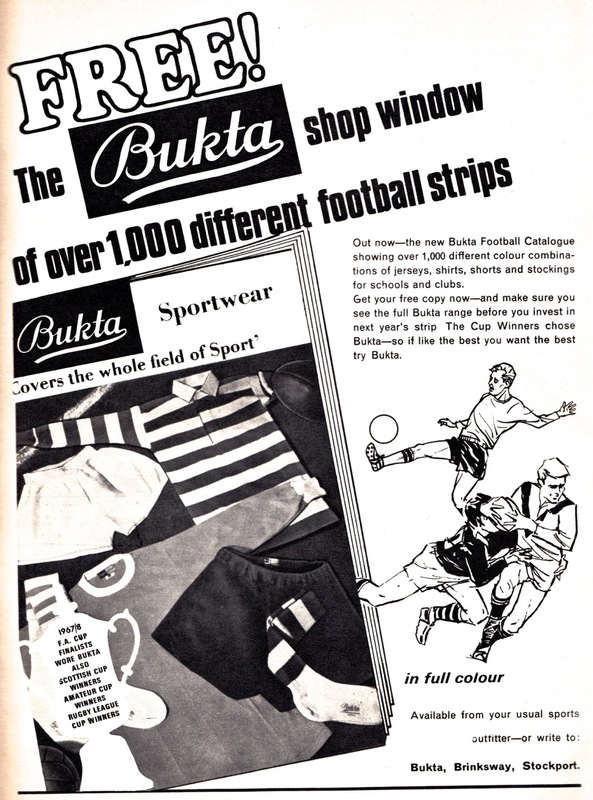 A big player in the UK market, Bukta lacked the financial clout to compete with some of their bigger rivals further afield which left them as a more marginal presence in mainland Europe. 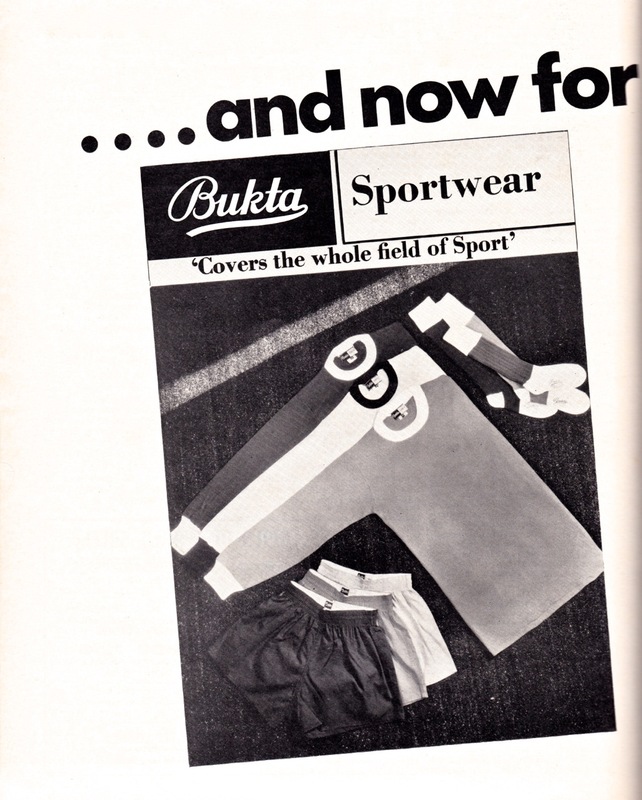 One notable exception was their tie-in with the great Ajax teams of the early 70s which gave them their only association with a European Cup winner. 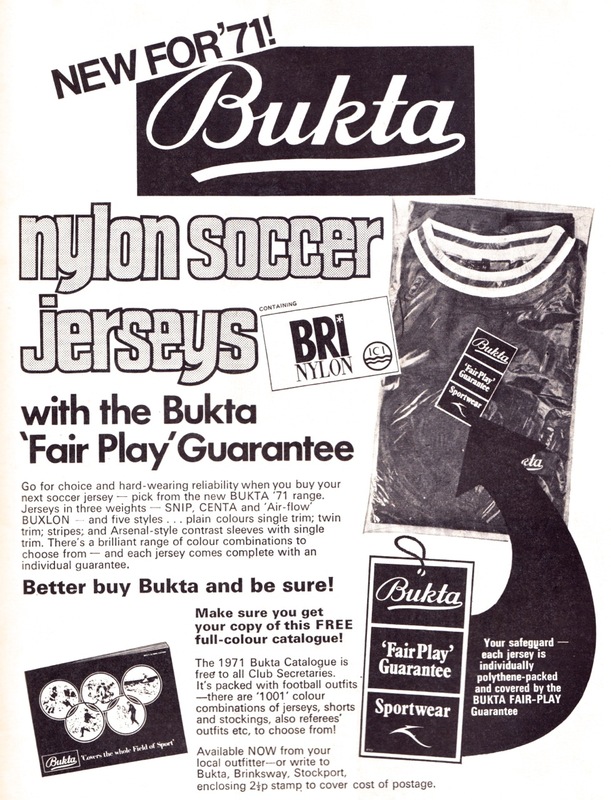 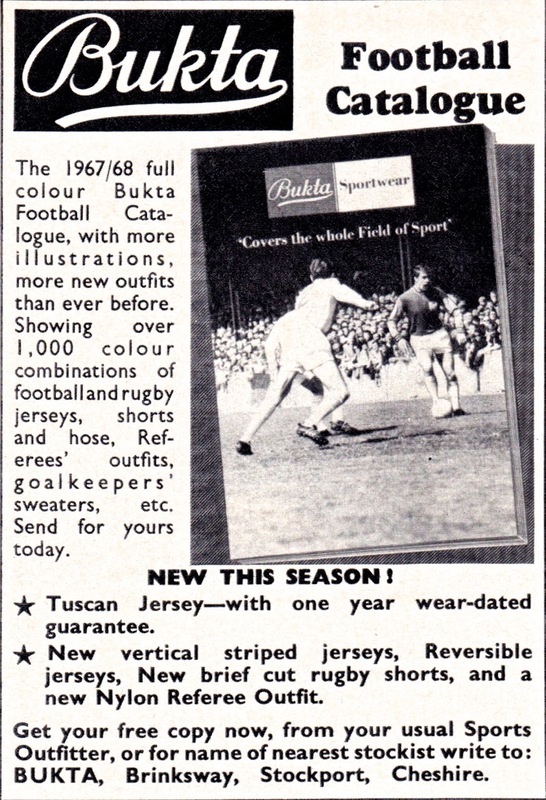 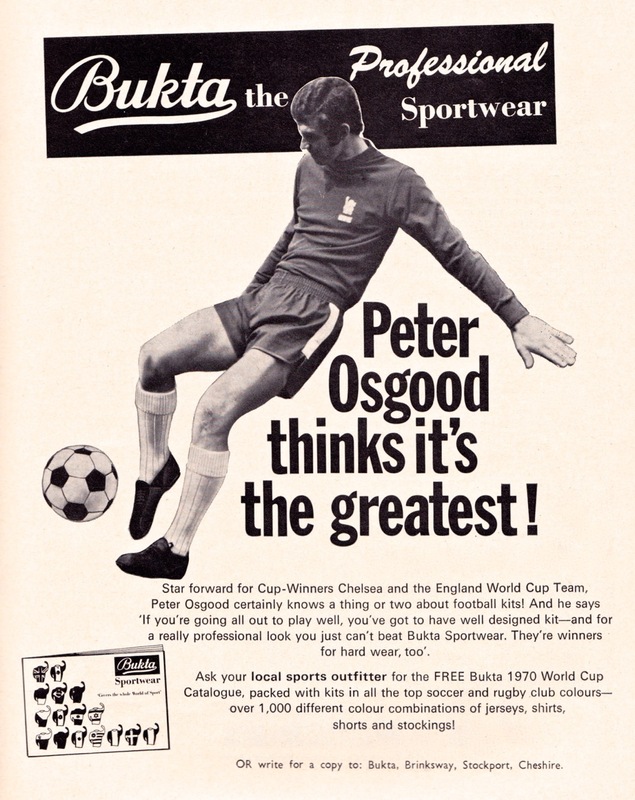 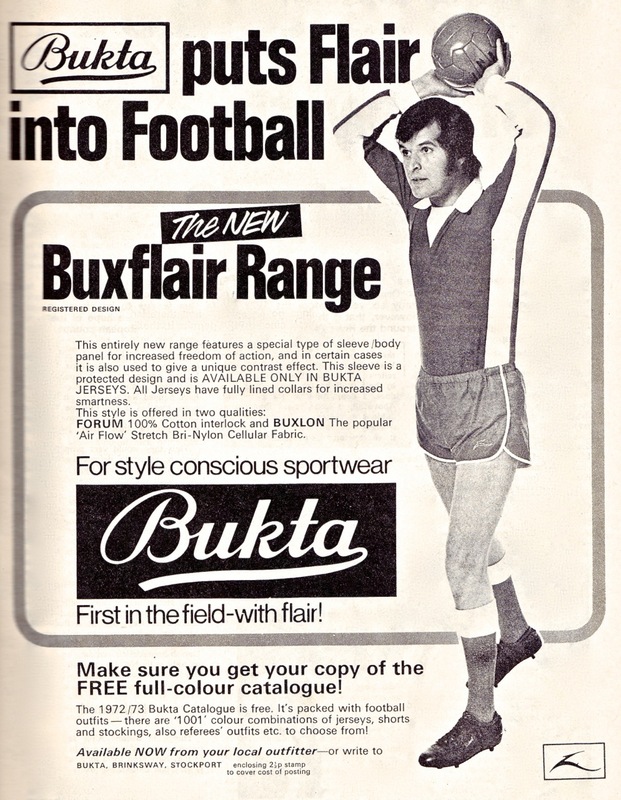 Whether it was Johan Cruyff or the latest Bukta Buxflair shirt technology driving that European success; well, we wouldn’t care to speculate.